Home / Archive by Category "Tooth Implant"
My Teeth are so bad! Am I still a Good Candidate for Dental Implants? Bad teeth can put a constraint on your day to day activities whether you are giving a presentation or trying to eat a meal. If your pearly whites are not functioning the way that they should, you might be researching ways to reclaim an attractive, healthy and functional smile. We suggest dental implants might be the right option for you. Yes, even if your remaining natural teeth are in poor condition, you can get dental implants and enjoy the improved quality of life which comes along with healthy teeth. To be honest, not everyone is an excellent candidate to get dental implants. For example, people who lack sufficient jaw bone density, or who smoke may not be able to receive this life-changing treatment. However, the condition of your teeth has some bearing on whether you can get dental implants. The only thing which is a cause for concern is if you have gum disease in addition to bad teeth. The reason is that the bacteria in periodontal problems can decrease the success of dental implant procedure. 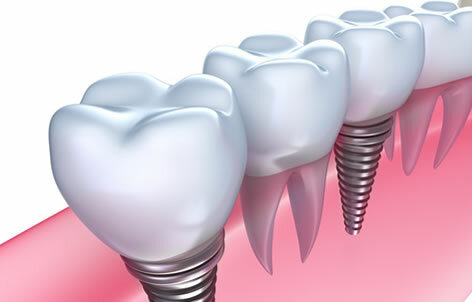 Dental implants are nothing but small posts of titanium that replace individual tooth roots. The jaw is left to heal for a few weeks or months depending on individuals’ healing capacity and health. Once the implant site heals and the implant fuses with the jawbone, the artificial teeth or crown are attached to the implant. This results in a strong set of teeth requiring minimum maintenance that can stand up to all the rigors of day-to-day life. If you have your teeth which are not attractive, your dentist will remove it off and replace it with implants. What if some of my teeth are in good condition? If you have some badly damaged teeth along with the ones that work well, you may not want to give up those that are still in good condition doing their job right. That’s ok. You may opt for implant supported partial dentures or implant supported bridges that can replace just a few teeth in the specific area of your mouth. Tooth implants can also replace a single tooth, however, if yours are many in a row that need to be replace you can go for implant supported dentures. There are so many teeth replacement options available nowadays. However dental implants are one of the best permanent options suggested by the dentist. Your dentist will discuss with you about your unique situation and recommend treatment options that will best fit for you. Who knows? It may not be long before you could say goodbye to your unsightly ugly paining teeth and say hello to a mouthful of bright pearly whites which can almost change your life. It is also vital that you discuss all your concerns about the procedure including dental implants cost that is affordable to your dentist before undergoing one. He will suggest the best option for you! Dental implants have incredible longevity due to the material they are made from. Yes, dental implants are made from a titanium material, and several clinical research show that the survival rate is high compared to other teeth replacement options. Moreover, with advancement in dental technologies, complex dental procedures like dental implants have become less invasive, affordable, quick recovery and a painless procedure. As a matter of fact, patients with low bone density can enjoy better implants and techniques that continue to contribute to making dental implants available to more people. Yes, as long as you maintain your oral health, dental implants are successful. According to the Australian Dental Association, tooth implants have a 95% success rate. But, still, the success depends on how well you maintain your health and lifestyle. Some people who have diabetes or who have the habit of smoking might not be well-suited for implants since they penetrate the gum and jaw bone. However, your dentist will examine your teeth, jawbone, and gums and then lets you know if you are a good candidate or not. What factors shorten the lifespan of a dental implant? The following are the several risk factors that contribute to dental implant failure. Smoking leads to various health issues. Nicotine constricts blood vessels, and it decreases the flow of blood. Smoking after dental implant will lead to failure of the implant due to the decreased blood flow. If you are planning to replace your missing tooth with dental implants, quit smoking. Gum disease destroys a tooth’s connection to the jawbone and can destroy implants connection to the jawbone as well. The gum disease is caused due to the plaque and tartar build-up. Gum disease around a tooth implant is called peri-implantitis, and research shows that it is the leading cause of implant failure. Patients who suffer from diabetes have a high risk of implant failure due to the inadequate blood supply to the surgical site. Proper blood flow is essential for healing and proper bone attachment to a dental implant. However, if you have good control over blood sugar levels, you may also be a good candidate for dental implants. Consult your dentist and evaluate your oral health. As long as your gum is healthy, the implants can last longer. Visit your dentist for a professional cleaning to remove the plaque, as it is the primary reason for peri-implantitis. The removal of plaque is essential to the health of your implant. Practicing good oral hygiene is essential for both your oral and overall health. Eat healthy foods and avoid sugary foods. Brush your teeth twice in a day and floss at least once in a day. 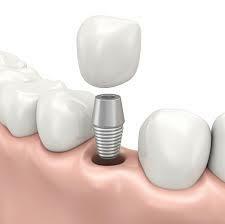 Dental implant cost is affordable due to the advanced methodologies in dental technology. Consult your dentist, evaluate your oral health and get the exact price for tooth implants. For decades, dentures were the only option for replacing a missing tooth. Fortunately, advancements in dental implant technology have made more options available, including dental implants. Today, dental implants are considered to be as the permanent tooth restorative option for missing teeth. When compared to other restorative options, dental implants have the highest success rate. Though dental implants have high success rate, still people tend to avoid the procedure due to some rumours. In this blog, we will address the five most common myths about dental implants. It is one of the most common myths. Though dental implants in Melbourne require oral surgery, modern techniques have made it a minimally-invasive and painless procedure. Sedation dentistry has paved the way to get dental procedures without any pain. With new digital dental implant techniques, you won’t even need stitches. The dental implant procedure is done by administering local anaesthesia, and you will not experience any pain. Modern implant procedures like immediate load implants are boon for patients who are missing anterior teeth. When compared to traditional tooth implants, immediate implant placement gives more benefits. NO! Tooth Implants in Melbourne gained its popularity because it looks and functions like a normal tooth. If you are worried that dental implant may stick out like a sore thumb in your mouth, you shouldn’t be. The crown is made from ceramic to resemble real teeth, and the dentist will ensure that the colour, shape, and size of the implants match your existing teeth. Nobody could find that you have an artificial tooth. It is true that dental implants cost in Melbourne is not cheap. But, think of the damage that is done to your mouth by not replacing a missing tooth will cost you a lot more in the long run. Dental implants are a single investment that is going to give you incredible benefits. Moreover, dental implants cost in Melbourne can be reduced by choosing payment plans. Many dental clinics offer flexible payment options to make the dental treatments affordable for all. Discuss your options with your dentist. While the healing time associated with dental implants Melbourne can last from two to six months, it may vary from one patient to another based on their oral and overall health condition. The extended healing time is taken for the implant to naturally fuse with the jaw bone which will provide a sturdy foundation to hold the prosthetic tooth. Dental implants are not uncomfortable like many assume. 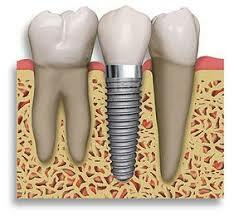 Once it is placed, dental implants look, feel and function like a natural tooth. When compared to dentures, they provide you maximum comfort. As they are non-removable you can speak, eat and smile confidently. What Makes The Difference Between Single And Multiple Tooth Implants? Exasperated about your missed tooth? There are many solutions to restore your gorgeous smile. One of the perfect solutions is, the Dental implants! They help in the restoration of your original look by offering both single and multiple implant techniques! For a single tooth restoration, dental implants get placed in the gap of your tooth. 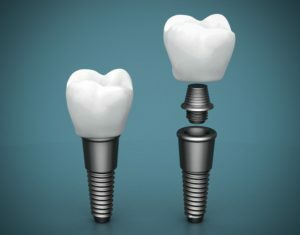 Within one or two months, the implants easily fuse with your jawbone and get prepared to support a single dental crown. Whereas, for multiple teeth restoration, implants help by supporting fixture of a bridge or a denture. They also easily get fused with your jawbone. Dental implants cost in Melbourne is reasonable with high-quality treatment techniques! When a patient loses a single tooth, whether it may be of massive decay or gum infection or may be injured during sports, a single dental implant is followed to fill the gap. During the single dental implant technique, the dentist fixes a tiny implant post into the jawbone at the place of a missing tooth. Once the bone and gums fuse together, dentist fixes a crown to the topside of the implant post which fills the gap between the teeth. When a patient has lost multiple teeth, there is no need of Dental Implant to replace each missing tooth. Dental Implants can offer the base for a row of new teeth. For patients losing many of their teeth, multiple teeth implant procedures are highly beneficial. With modern dental options, implants appear very realistic. They also need distinct care. The cost of dental implants in Melbourne is too affordable with latest treatment techniques. Why Are Dental Implants Perfect To Choose? Does not spoil the neighbouring tooth. Dental implants support as the base for dentures which also offers both the appearance and function similar to natural teeth. There is no age restriction to undergo a dental implant surgery. Who Can Perform The Dental Implant Procedures? Dental implants could be performed only by licensed specialists who also provide a standard care for the patients. Though implants get surgically placed in the jawbone, dental specialists who frequently execute surgery in the jawbone are the best fit for implant procedures. 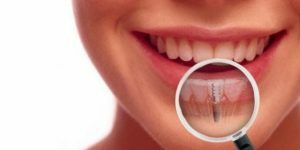 Specialist dental surgeons offer cheap dental implants in Melbourne they also treat all oral issues which include, removal of tooth and jaw surgeries with high-quality care. Take Ample Rest After The Procedure: Persistent activities could increase the risk of bleeding, swelling and other difficulties when the implants begin to heal. It is perfect to rest two days after the surgery. Limit Alcohol And Avoid The Usage Of Tobacco Products: smoking could weaken your dental implant and even cause tooth decay. Reduce The Use Of Sugar: high sugar content could increase the chance of tooth decay and other dental issues. Hence limiting sugar helps to retain your implants. By proper maintenance and regular check-ups, dental implants last for a life time. 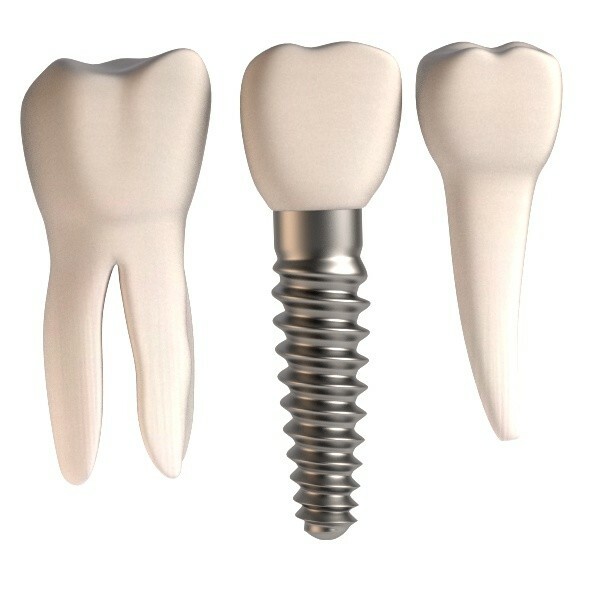 A Dental implant is an artificial tooth root placed into your jaw to provide a permanent base to the replacement tooth. Dental implants are the best choice for those who missed their tooth due to various reasons such as an injury, tooth decay, or some other reason. With proper dental care, your dental implants can last for even your lifetime. By taking proper home care and maintenance, you can ensure the health of your implants. Most patients are concern about what kind of maintenance they should give to their implants for proper maintenance. You may think that you can brush and floss the same way as with your natural teeth, but your dental implant needs a different approach while brushing and flossing. In brief, your implants need specialised care and maintenance to give you a perfect smile and last for many years. Here we have mentioned few tips to care and maintain your dental implants. As like your natural teeth, it is vital to clean your implants to limit the occurrence of tartar and plaque. Due to the position of your implants in your gums and bone, it can be easily infected causing implant loss. So you should be careful while choosing the toothpaste for brushing your implants. You need to avoid abrasive toothpaste that contain grainy substances like baking soda that is good at removing surface stains from your natural tooth, but it can damage your dental implant material that leads to wearing down of your implants. Toothpaste and mouthwash with highly concentrated fluoride can remove the protective oxide layer of your implants which results in implant decay. So you need to choose the toothpaste that contains less amount of fluoride in it to safeguard the protective layer of your implant. Using a soft-bristled toothbrush will protect your implant from scratches and severe damage. It is also recommended to use a soft-bristle toothbrush to avoid the similar damages caused by abrasive toothpaste. In order to protect the sealing around your implant and prevent infection, you need to treat your gum tissues with a lot of care. You can get your dentist’s advice about the type of toothbrush that suits you well. Flossing your teeth and implants regularly can help you to maintain your oral health in good condition. Flossing daily with non-waxed floss helps you to maintain clean tooth and implant surfaces below your gum line. Rinsing with the mouthwash is also recommended for healthy teeth and gums. So you need to have a consultation with your dentist about the product of your choice to know whether it is safe for your dental implants or not. Also, you need a regular dental visit with your dentist for a specialized cleaning, maintenance, and care to ensure the longevity of your implants. A perfect smile is something everyone desires, but unfortunately dental problems ruin this dream. With a dashing smile you have a better outlook to life and are more confident in public. In fact, your smile can help you succeed in life as people will be drawn to your warm personality. You enjoy more self-esteem if you are confident about how good your teeth look. However, losing a tooth will ruin all this and your self-esteem will take a beating. Missing teeth will also affect your diet and force you to forego some foods. Worse still, it can lead to loss of your jaw bone. This is where dental implants come in handy. If you have lost a tooth or more through decay or injury, it is time to explore the benefits of this advanced medical procedure and the dental implants Melbourne cost. A dental implant is a replacement for your lost tooth root. A cylindrical tapered titanium post is drilled into your jaw bone to provide permanent support for replacement crown. Titanium is used because it fuses with your jaw bone to provide a firm base. After healing, an abutment is fixed on top of the post and a crown that is custom designed to look like your other teeth is fitted. The results are apparent immediately; you get your smile back and the crown looks and feels natural. A dental implant will give your confidence back. You can now enjoy any food and you don’t have to worry about the implant slipping. 1. Nature of the dental procedure: Three common procedures are endosseous, which are placed within the jaw bone, transosteal implant that passes through the jaw bone and gum into the mouth and subperiosteal implants placed on top of the jaw bone. Depending on the work involved, each of these procedures is priced differently. 2. Number of implants: A single implant is cheaper compared to multiple implants. 3. Nature of the procedure pricing: Most dentists will quote a single price for the implant and crown. When each is quoted, the price is higher. 4. Extra dental procedures: In some cases, a patient will require an extraction or decay treatment before the implant, which increases the cost. A favourable cost is around $2,850 for both the surgery and the porcelain crown. Talk to your dentist to confirm how much you will pay. If you have a missing tooth, you are most likely looking for the dentistry procedure to replace it. Whether you have lost your teeth to injury or decay, there is no denying that this greatly affects your life. For a start, your smile is gone and this negatively impacts your self-confidence. Your social life will be affected as you will reflexively stay away from your circle of friends. It gets worse; missing teeth increase the chance of periodontal disease and osteoporosis. Your dietary habits are also affected as you will avoid foods that might hurt your naked gum. Luckily, medical advances now allow you to replace your teeth and get back your smile. The teeth implants Melbourne procedure is the most popular tooth replacement technique in modern dentistry and for many good reasons. While it might sound like a very complex procedure, but a dental implant basically entails creating a new root for your missing tooth. A titanium post is drilled into your jaw bone using specialized equipment at your dentist’s clinic. This is done after carefully assessing your jaw bone mass and any other risk factors. Once the post is in place, a replacement tooth is connected using a connector. Titanium easily fuses into the jaw bone to provide permanent support. The procedure can take between 3 to 9 months, as it also includes the gum healing process. Dental implants will gift your smile back and boost your self-esteem. You will have no trouble eating your favourite foods and the procedure also reduces risk of gum disease. What Determines Teeth Implants Costs? 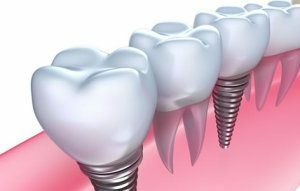 When talking about this procedure, most people cite high tooth implants cost Melbourne as the reason they delay to get the procedure. While dental implants cost more than traditional alternatives including dentures, you need to appreciate they are more effective. This is the best alternative to natural teeth and it is more convenient compared to dentures. Every case is unique and your dentists will first examine you to identify any issues that might increase the cost. Individual complications will affect how fast and effectively the procedure can be done. Each gum is unique and your dentists will look at the jawbone thickness to determine whether you need bine grafting. If you have more missing teeth, you will need more implants, which increases the cost. In case of a longer healing time, you will need a bridge or denture to sit over the implant and prevent it being covered by the bone. All these might add to the cost of the entire procedure. When you visit the dentist for consultations, confirm whether the entire procedure is being charged as one or if there will be additional costs for the crown. By using a highly qualified dentist, you are more likely to enjoy a discount. All in all, make sure you ask any question you have about a dental implant before the procedure commences. A good dental image is a great boost to a happy life. With perfectly shaped teeth, you are more confident of lighting up the room with a dazzling smile. What’s more, you have an upper hand in tough negotiation situations as you can melt your way into the other party’s heart with a glowing smile. If you have a missing tooth, your face loses its shape and with time you will have to contend with accelerated bone loss. Missing teeth also negatively impact your dietary habits as you are forced to forego some healthy foods. Your mouth is also more susceptible to periodontal disease and these facts make it important to consider a dental implant. This is the most effective tooth replacement procedure and it is highly recommended in restorative dentistry. The Australian Dental Association (ADA) in 2014 decried poor dental care in the country and blamed it on lack of information. Most adults ignore dental visits and only seek attention when it is already too late. If you have a missing tooth/ teeth, it is important to understand everything about this procedure, what it entails, candidates for the procedure and dental implants Melbourne cost. A dental implant is a permanent replacement for your lost tooth. It is a fixture planted in either in the jaw bone or on top. A titanium post is used as it ossifies into the bone to provide permanent support. The procedure is carried out by a certified dentist using specialized equipment. Before the procedure begins, a thorough evaluation is done to verify you are an ideal candidate for the procedure. Once the titanium post is in place, the dentist will use a connector to attach the custom-design porcelain crown to get your smile back. A dental implant allows you to get back your natural smile and you can now eat any foods you want. If you are worried about dental implants cost Melbourne it is highly likely you have not talked to your dentist. The alternative to a dental implant is dentures, which are not only uncomfortable but they can also slip out causing you untold embarrassment. It is also important to consider the alternative of not getting the implant; your gums will be more susceptible to debilitating gum disease, which might cost even more to treat. When determining the cost of your dental procedure, your dentist will first examine the nature of your jaw to determine the best implants to use. If you want an implant to support more than one tooth, it will cost more. Most dentists package the dental procedure as one to include both the surgery and crown. This is more affordable and you can end up paying only $2,850 for the permanent dental procedure. The benefits of the dental implant far much outweigh the cost and remember you will be averting future oral complications and reclaiming your smile. Dental implant procedure consists of a series of steps that takes a few months for it complete. After administering local anaesthesia, the titanium screw is placed into the bone. This procedure will take a maximum of an hour to be done with. This titanium material begins to fuse with the bone in due course and begins to act just like a real tooth. The replacement tooth is placed over the titanium screw attached initially. Even though the teeth is placed permanently, it would never create any side effects or doesn’t cause damage to the adjacent teeth. Unlike dental implants, dental bridges can fall off as they aren’t strong or permanent. This leads to repeated visits to dentists for reattaching the same. Notably, dental bridges can also cause tooth cavities and tooth decay, thereby damaging your adjacent teeth. Dental implant are designed to last a lifetime. When they are properly cared in accordance to the instructions provided by the oral surgeon alongside following oral hygiene procedures, dental implants can last a lifetime. Dental bridges, however aren’t designed with a longer life. This means that the procedure is meant for those who’d like to replace their teeth for a shorter period of time. 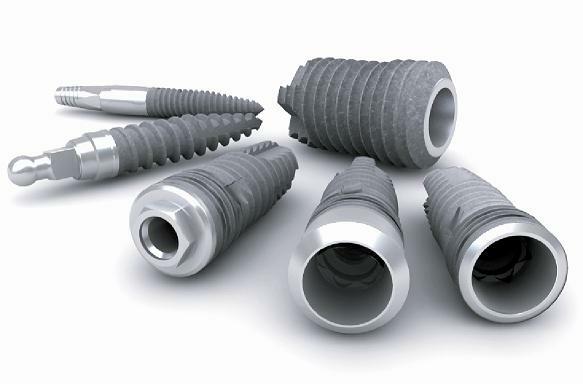 The titanium screw of dental implants act as alternate tooth root, meaning they act just as natural tooth roots. This enables the titanium implants to preserve the bone density and even stimulate bone growth over time. This way, dental implants helps preserve bone density and protects it from problems of any kind. Bridges aren’t capable to do the same. In fact, bridges can do the exact opposite when the front tooth is replaced by it. When bridges are used to replace the front tooth, gums and bone might collapse, leading to lack of support for the tooth. With dental implants, the replacement teeth not just looks like a real tooth but also function just like it. This bestows user, the comfort and confidence with no pain and concerns while using implants. On the contrary, dental bridges do not offer the aforesaid benefits, but leaves the user uncomfortable with speaking and eating. Embrace what the new technology has got to offer for teeth replacement – Dental implants. The cost of dental implants are higher relative to dental bridges, but be informed that your investment made for implants is clever, owing to its benefits and reduced maintenance. People often get impressed with the qualities of dental implants and how they are beneficial over other tooth replacement options such as dentures, partial dentures and bridges. However, they get baffled when they get to know they aren’t a good candidate to receive dental implant treatment. 1. Substantial Bone Loss: Dental implants are placed into the jawbone, which in time will fuse into it. And that obviously means it’s not going to help if there’s insufficient bone density or there’s substantial bone loss. Fortunately, dental implant specialists adopt a method called bone grafting before offering your dental implants to make sure you are eligible for the treatment. Such specialised methods are executed to develop the success rate of dental implants for you. 2. Addiction to Alcohol and/or Drugs: Heavy smoking of cigarettes can compromise your candidacy for dental implants. Even after you have undergone the dental implant procedure, chain smoking can reduce the success rate of implants and slows down the healing process during recovery. Users of alcohol and illegal drugs face bad oral health, thus making them incapable of maintaining and caring for their dental implants. This also makes them hard to comply with aftercare procedures. 3. Inadequate Care for your Teeth: If you’re one amongst those who don’t commit themselves to maintaining proper oral hygiene as well as following proper brushing & flossing habits, then dental implants aren’t for you. Once dental implants are placed, the users must meticulously follow oral hygiene habits that includes the right brushing and flossing techniques and make periodical appointments to the dentist. 4. Teen or Child: Young children and teens will have their jaw bones in the growing stage, which means that they are ineligible for dental implant treatments. 5. Pregnant Woman: Pregnant women will have to wait to get their dental implants until they give birth to their child or children. 6. Uncontrolled Gum Disease: People having serious oral health issues such as Gingivitis or Periodontitis will have to get them treated before they could opt for dental implants. This is because gum diseases can affect the success rate of dental implants. The above factors clearly mention that affording to pay for dental implant cost doesn’t just count towards your candidacy for the procedure. Visit your oral surgeon and see if you are eligible for dental implants soon.